A whole new world of hurt! He was a monster, impossible to control, too dangerous to ignore. So Earth’s mightiest heroes exiled him into outer space. But now THE INCREDIBLE HULK crash-lands on the distant planet SAKAAR, ruled by the tyrannical RED KING. Sold into slavery, the Hulk becomes the planet’s mightiest gladiator—but his new masters get more than they bargained for when he forges a bond of brotherhood with his fellow fighters: crafty insectoid Miek, ruthless rock-man Korg, ex-shadow pirest Hiroim, and the noble-born rebel Elloe. Unlike Earth, the desperate people of Sakaar believe a monster is just what they need. But will the Hulk be the one to save their world…or destroy it? Hulk ripping monster after monster apart, whats not to like, the story is interesting that the Hulk develops intelligence unlike what we are used to seeing. 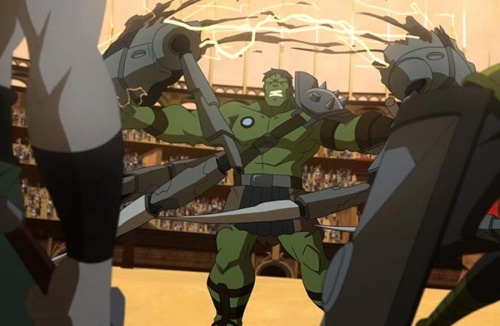 I always think of the Hulk as an unstoppable raging machine that gets stronger as he gets madder, but this time around he serves a different role on a different world. The animation is pretty good and the story is entertaining, but I keep hoping for more from the new Marvel DVDs. Marvel and DC Movies have been great over the past couple of years, and I can’t wait for the next one to come out. 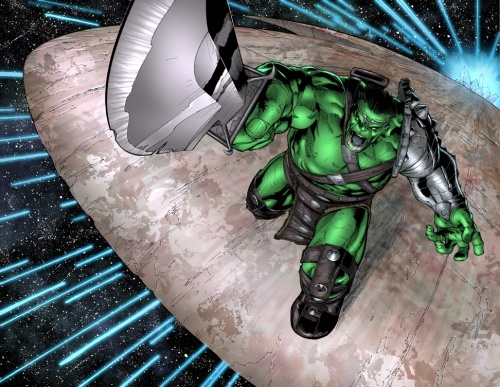 This time around they have come with the Planet Hulk which revolves around the Hulk being talken off the earth because he is a danger to people, so he manages to get out of his restraints and crash land on a planet that turns him into a gladiator of sorts. With an incredible battle in front of him, the Hulk fights the meanest and toughest monsters, lets see what he does to get out of this. 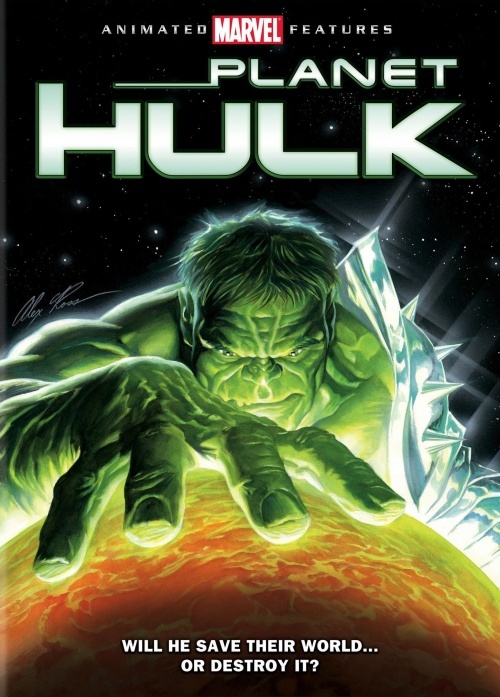 The other part of this comic story is the return of the Hulk to Earth but hopefully that will be released after the success of this animated movie.